“Anyone doing business with Iran will NOT be doing business with the United States.” — US President Donald J. Trump. “The EU is demanding that its largest corporations risk the entire cake for a few more crumbs.” — Samuel Jackisch, Brussels correspondent for German public broadcaster ARD. “The fines are in the multibillions these days so it’s just not worth the risk for a small piece of business and maybe pleasing a European government.” — Investment banker quoted by Reuters. The European Union has announced a new regulation aimed at shielding European companies from the impact of US sanctions on Iran. The measure, which has been greeted with skepticism by the European business media, is unlikely to succeed: it expects European companies to risk their business interests in the US market for interests in the much smaller Iranian market. The so-called “Blocking Statute” entered into effect on August 7, the same day that the first round of US sanctions on Iran officially snapped back into place. Those sanctions target Iran’s purchases of US dollars — the main currency for international financial transactions and oil purchases — as well as the auto, civil aviation, coal, industrial software and metals sectors. A second, much stronger round of sanctions targeting Iran’s oil exports, takes effect on November 5. The action follows up on President Donald J. Trump’s decision on May 8 to withdraw from the 2015 Joint Comprehensive Plan of Action (JCPOA, also known as the Iran Nuclear Deal) negotiated by the Obama administration, which lifted sanctions on Iran in exchange for a freeze on its nuclear program. The Trump administration said that the deal negotiated by the Obama administration did not go far enough to curtail Iran’s nuclear weapons program, or its ballistic missile program, or its malign behavior in the Middle East and elsewhere. The reimposed US sanctions apply not only to American citizens and companies, but also to non-American individuals and companies. In a legal concept known as extraterritoriality, any company based outside of the United States must comply with American sanctions if it uses dollars for its transactions, has a subsidiary in America or is controlled by Americans. “We are determined to protect European economic operators engaged in legitimate business with Iran, in accordance with EU law and with UN Security Council resolution 2231. This is why the European Union’s updated Blocking Statute enters into force on 7 August to protect EU companies doing legitimate business with Iran from the impact of US extra-territorial sanctions. In other words, the EU is prohibiting EU citizens and companies from complying with US sanctions and is authorizing EU companies hit by US sanctions to sue the US government for compensation in European courts. In addition, European companies that do pull out of Iran without approval from the European Commission face the threat of being sued by EU member states. Many European commentators said the EU scheme would be unworkable, especially for European multinational corporations with business interests in the United States. 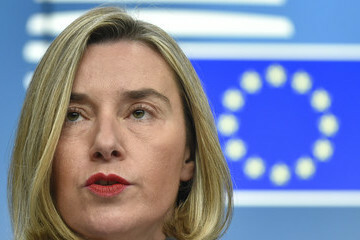 “Diplomats and lawyers have raised serious doubts about the EU’s ability to protect European businesses operating in Iran from the US measures. “Suffice to say that the implementation of this blocking law remains very hypothetical, as it goes into uncertain legal territories. 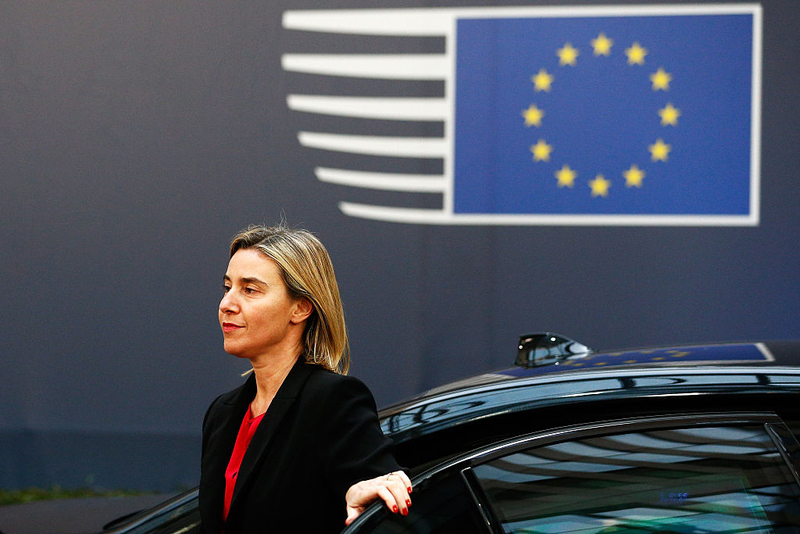 “The EU can try to turn the tables on transatlantic relations, but in the end the US still comes out on top. “The peculiar construction of the EU Blocking Statute remains: Ordinarily, regulations and laws prohibit something. For example, an anti-dumping law prohibits companies from price dumping in order to force competitors out of the market. But the EU Blocking Statute is a call to action: Do trade with Iran and do not let threats from the US president dissuade you! As if to prove the point, moments before US sanctions against Iran entered into force, Daimler, the German car and truck manufacturer, dropped plans to expand its Iran business. “We have ceased our already restricted activities in Iran in accordance with the applicable sanctions,” Daimler said in a statement. Daimler follows similar decisions by: Adidas (Germany); Allianz (Germany); AP Moller-Maersk (Denmark); Ciech (Poland); Citroen (France); CMA CGM(France); DZ Bank (Germany); Engie (France); ENI (Italy); Lloyds (UK); Lukoil(Russia); Maersk Tankers (Denmark); Oberbank (Austria); Opel (Germany); Peugeot (France); PGNiG (Poland), Renault (France); Scania (Sweden); Siemens(Germany); Swiss Re (Switzerland); and Total (France).